If you are looking for a drug rehab, the sooner you get help, the better. Are you familiar with all the kinds of drug rehab programs available? More on what programs MUST have here! Looking for quality rehab programs? Are you familiar with all the kinds of drug rehab programs currently available? Not to worry. We’re here to help. 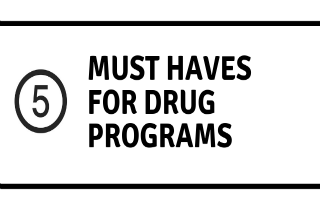 More here on what programs MUST HAVE, with a section at the end for your questions. In fact, we try to respond personally to all legitimate questions about drug rehab. Read on for more. What is a quality drug rehab program? First, every rehab program must fulfill or meet the standards adopted by the State where it intends to provide services. The standards can take the form of licensure, accreditation, or certification. But, how you can generally separate good versus bad drug rehab? It is really important for you to get into a certified treatment program. First, check if the treatment program is accredited by the state it’s in. Ideally, the facility will also be certified by third party agencies such as the Joint Commission on Accreditation of Healthcare Organizations (JCAHO), the Commission on Accreditation of Rehabilitation Facilities (CARF), and/or the National Association of Addiction Treatment Providers (NAATP). 2. Customized programs individualized just for you. The circumstances that lead to addiction are as diverse as the patients themselves. A one-size-fits-all approach to treatment will not translate to success for the patient. Instead, it’s helpful to explore and consider drug rehab programs with a diversity of treatment therapies. A quality facility will have the resources, know-how, and personnel at their disposal to tailor treatment approaches by individual. This process starts with a thorough evaluation and patient history. The facility will then design a program consisting of evidence-based therapies that will most benefit you. 3. Family should be involved in the treatment process. Transitioning back into the family dynamic can be a jarring and difficult experience after a stay in a drug rehab program. The best programs offer clients a chance to reconnect with their family while in treatment. This helps to lay the foundation for a healthy dynamic in which expectations are established and boundaries are respected. You should be able to develop a plan for recovery while in a rehab program so that you can more easily rejoin your household after rehab ends. 4. An aftercare treatment plan is part of rehab. The program you choose for yourself or your loved one should offer a clearly defined plan of action to follow upon discharge. This plan should include everything from ways to manage stress to tips on how to avoid potentially toxic situations and interactions, referral to support groups and relapse prevention. It’s also important that patients have a connection to their therapists during their more vulnerable periods. It’s best to choose a program that offers regular follow-up and verify post-treatment progress. 5. Precise medical record keeping. Medical records document your stay in a rehab program. Rehabs should keep standard records documenting the history of examination, diagnosis and treatment of a patient. This information is vital for all providers involved in the continuum of care and for any subsequent new provider who assumes responsibility for that person. What kinds of drug rehab programs are available? The goal of drug rehabilitation is to stop drug use and prepare you for safe and stable life among family, at the workplace, and in your community. However, this goal sometimes requires varied terms of treatment in order to be achieved. That is why finding the right treatment for your specific needs is critical. 1. Inpatient treatment – Inpatient rehabs require that you stay in a hospital, clinic, or onsite facility during treatment. The residency can vary from 5 to 14 days (for detox) up to one month, or longer. 2. Outpatient treatment – You qualify for outpatient rehab if you are highly motivated for change, need to continue working, and have a supportive home environment. Outpatient treatment averages about 10 weeks of 3-9 hours of treatment per week, but can last for up to a year. 3. Long term inpatient – During long-term residential drug treatment you will receive care 24 hours a day, generally in a non-hospital settings. The best-known residential treatment model is the therapeutic community (TC), with planned lengths of stay of between 6 and 12 months. TCs focus on the “resocialization” of the individual and use the program’s entire community-including other residents, staff, and the social context-as active components of treatment. 4. Short term inpatient – Short-term residential programs provide intensive but relatively brief treatment based on a modified 12-step approach. These programs help to reduce the risk of relapse once a patient leaves the residential setting. Average length of stay is one (1) to three (3) months. Behavioral therapy and psychotherapy – Psychotherapy forms the basis of any quality addiction treatment program. These treatments can also enhance the effectiveness of medications and help people stay in treatment longer. Pharmacological interventions – Medications can be used to help re-establish normal brain function and to prevent relapse and diminish cravings. Currently, there are medications for drug addiction such as naltrexone, buprenorphine, methadone, or even anti-depressant and anti-anxiety meds prescribed for short-term use that help. Most people with severe addiction problems, however, are poly-drug users (users of more than one drug) and will require treatment for all of the substances that they abuse. Do you still have questions about what quality drug rehabilitation looks like? Please contact us below. We’ll do our best to respond to your questions personally and promptly. Hi Michelle. Please give us a call! We can talk through your treatment options and specifically about methadone maintenance as a part of addiction therapy. I am looking for a long term rehab that has a methadone maintenance program as part of their treatment. How can you receive some type of rehab when you don’t have insurance or the money to pay for it out of pocket? I was on Morphine Sulfate 30 mg for ten years. Up to five a day. All prescribed by a pain management Dr. I then found a different Dr. who prescribed buprenorphine 8 mg two per day for over two years. It cost so much I started reducing my dosage myself over several months until I was down to a quarter(aprox 2 mg) of one 8 mg tablet per day for 3 – 4 weeks. I’ve been off completely for 14 days and still suffering withdrawal pretty bad. Any advice on how much longer this may continue or on my opening inquiry regarding rehab would be greatly appreciated. Hi Tom. After two weeks of buprenoprhine withdrawal the pain and discomfort may have starter to lessen, but you may still experience aches. Depression can starts to set in, as well, and you may notice an extreme loss of motivation. After three to four week mark, most of the physical withdrawal symptoms will be gone, but depression at this time is common. This time is very important, as you will be very vulnerable to relapse.